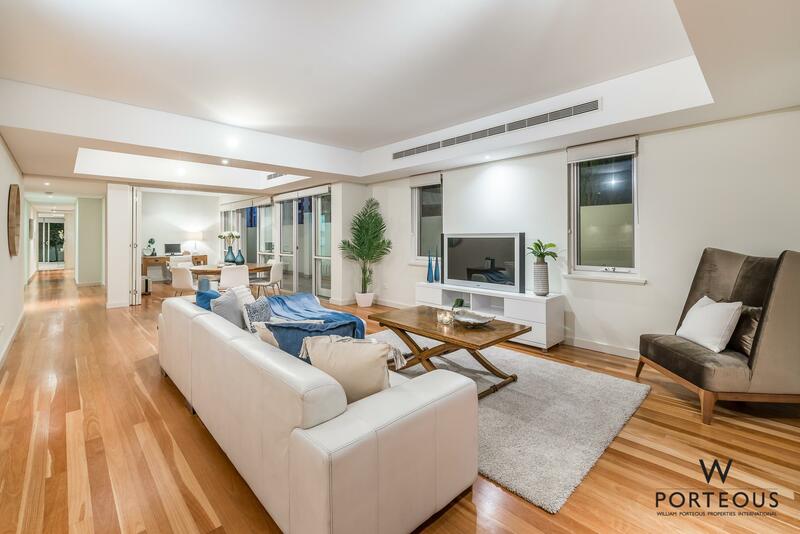 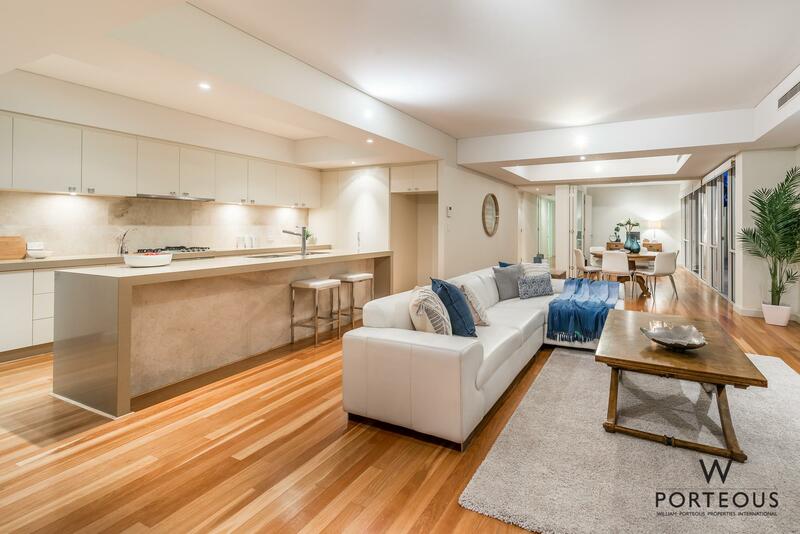 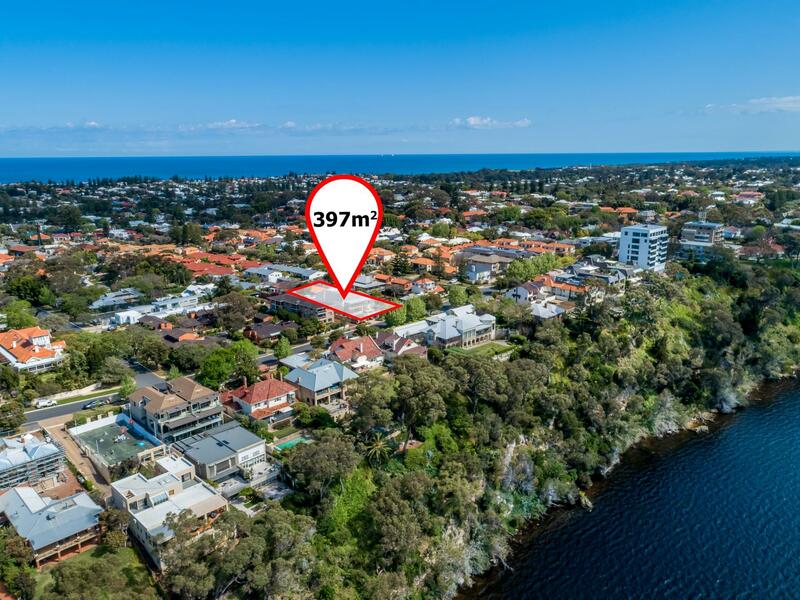 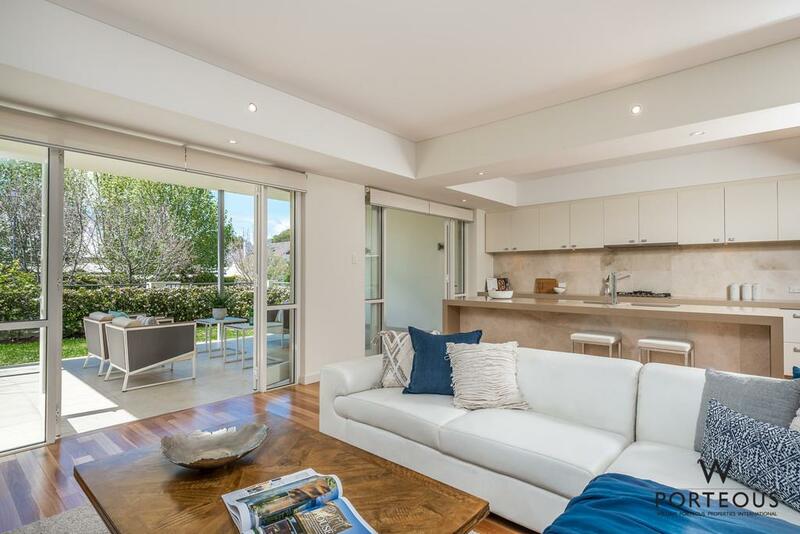 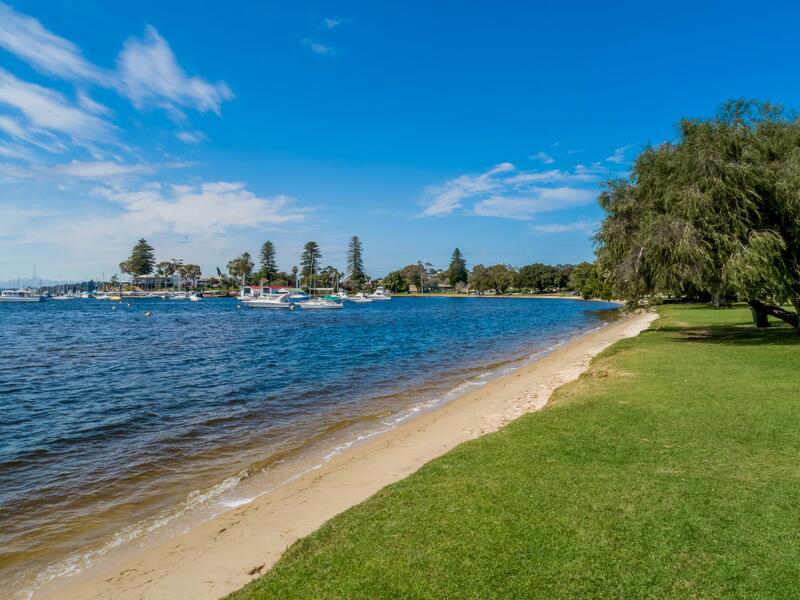 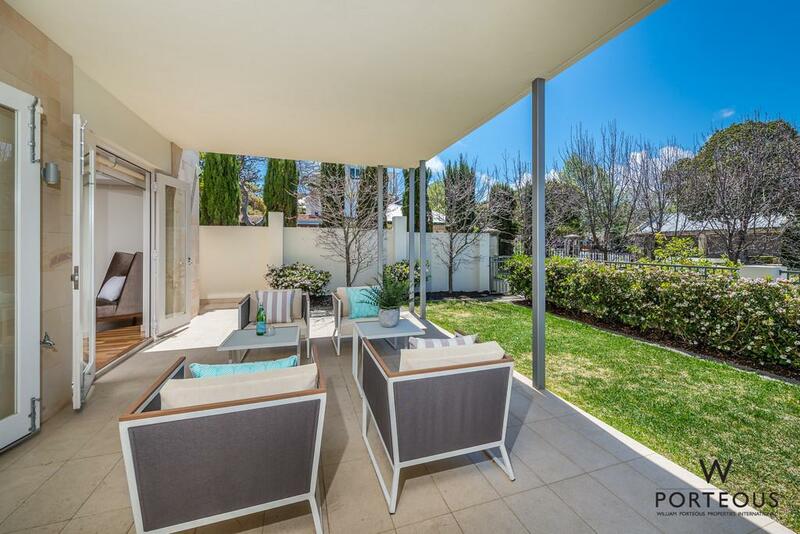 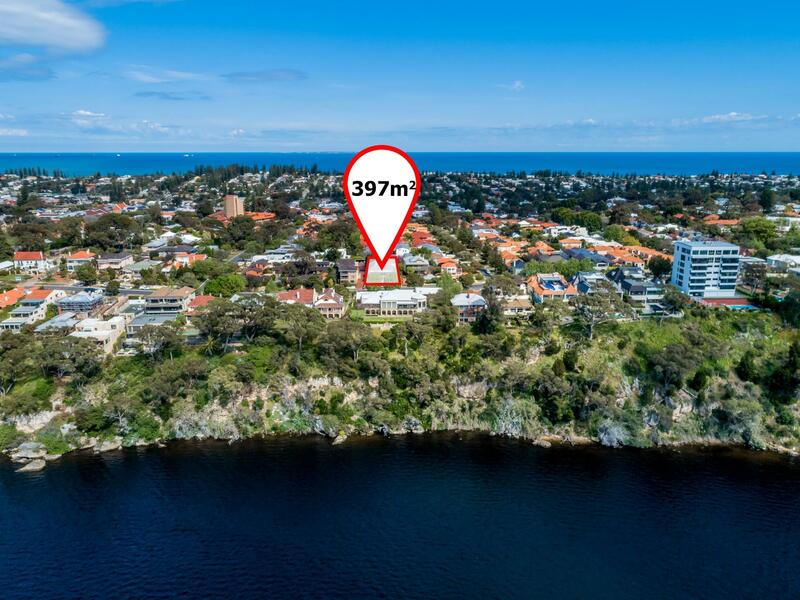 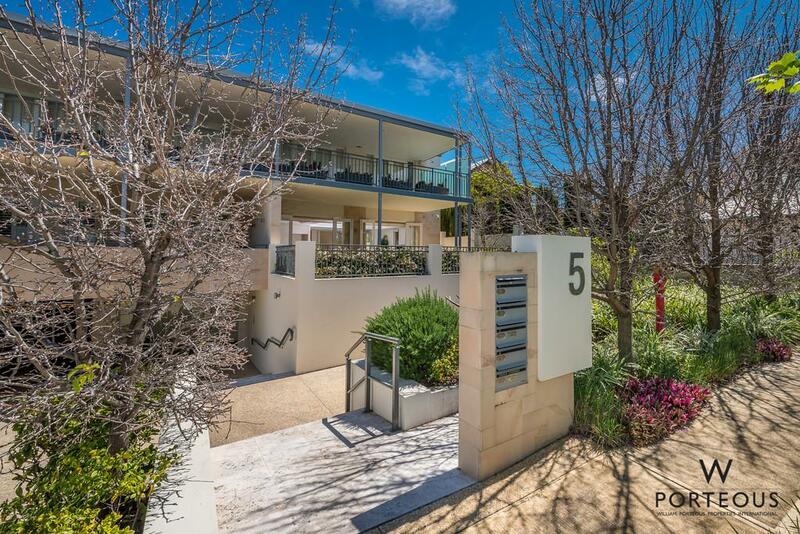 Ideally located on coveted Bindaring Parade, this is a private, secure and luxurious elevated garden apartment offering an idyllic lifestyle in the heart of the prestigious river precinct. 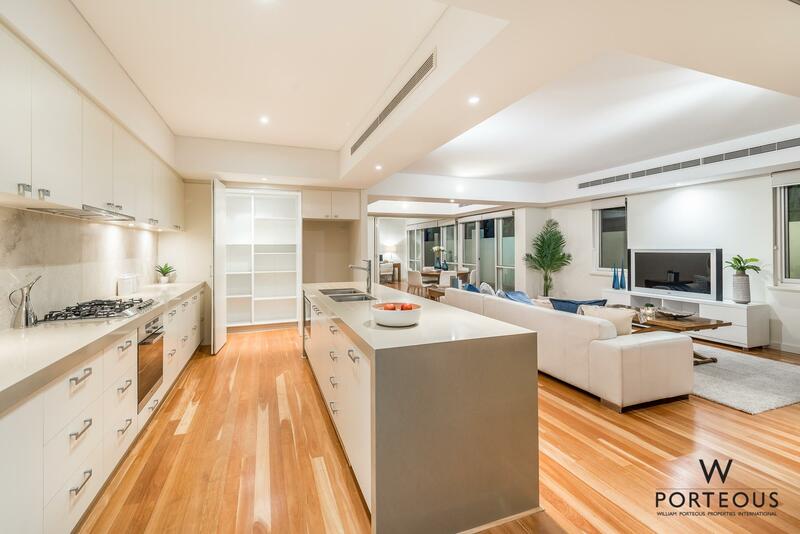 Sophisticated and elegant, with glorious sundrenched interiors, a feature of its north orientation. 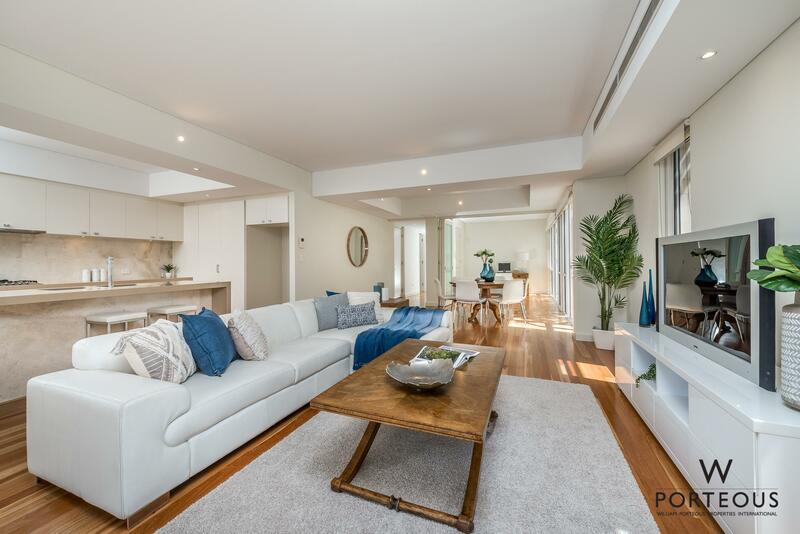 Finished in a refined neutral palette with expansive living spaces, sleek kitchen, 2 luxury bathrooms, 3 designer bedrooms, a study (or 4th bedroom), powder room, 2 alfresco entertaining areas plus beautiful low maintenance gardens and lawns, two store rooms and 3 car secure undercroft garaging! 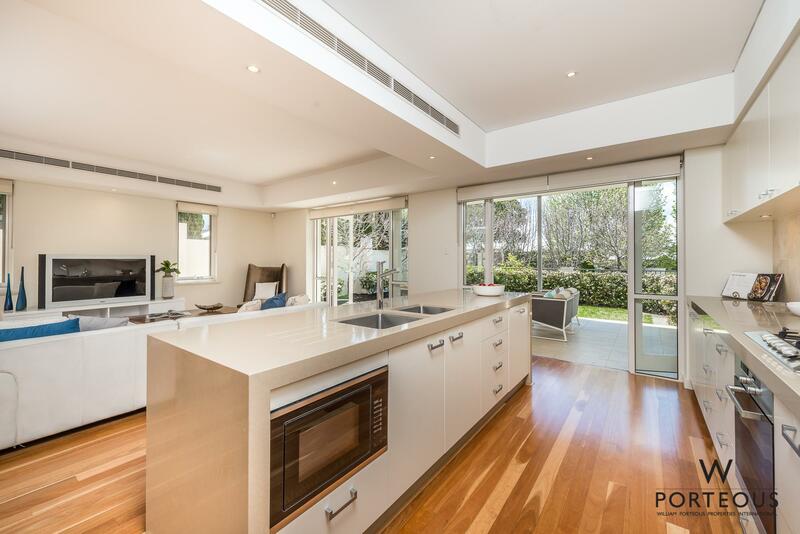 This is a magnificent home perfectly suited to a young family, professionals or downsizers. 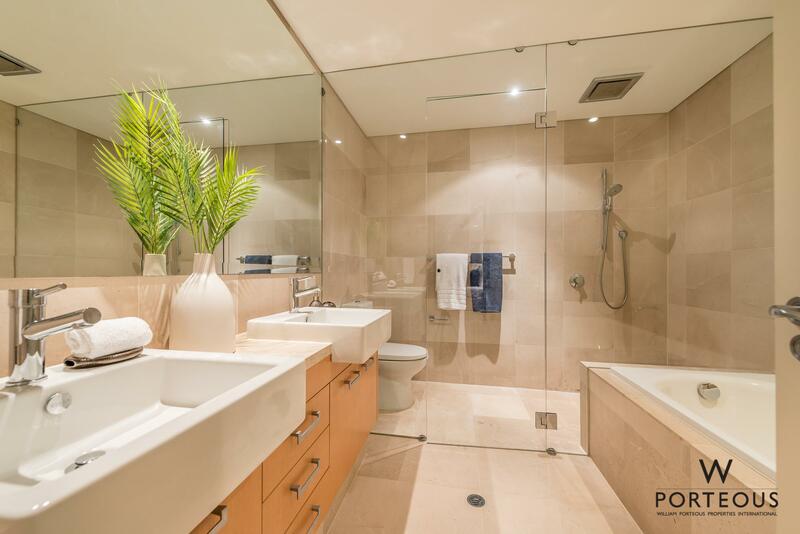 An elevator whisks up from your secure garage to a graceful marble lobby on the upper ground floor. 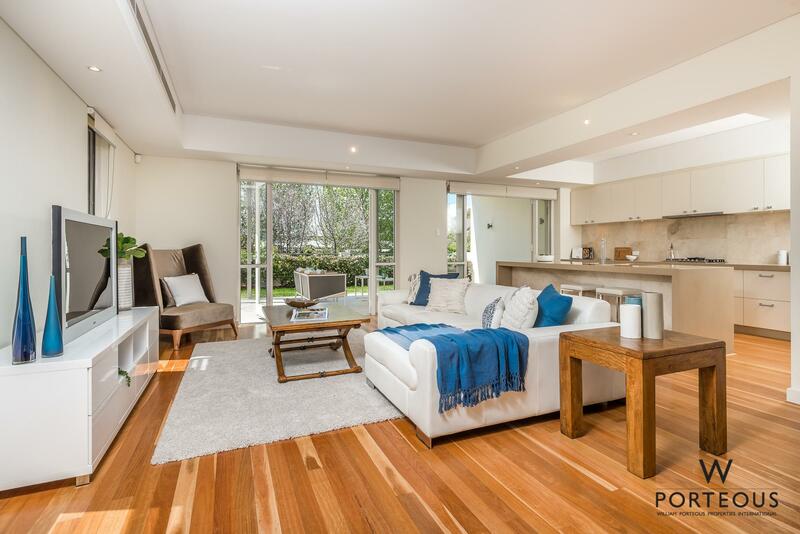 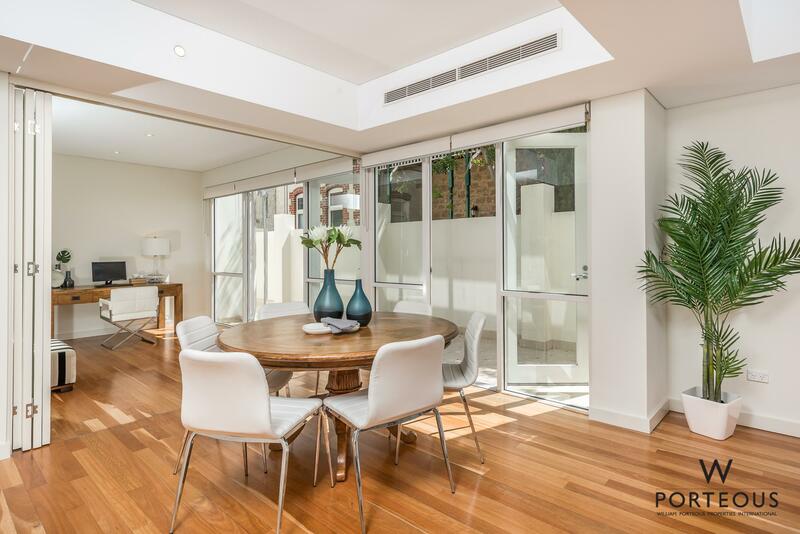 Inside, beautiful blackbutt floors extend across well-proportioned open plan living and dining spaces that are chic, stylish and perfectly solar oriented, with northern light cascading through walls of glass. 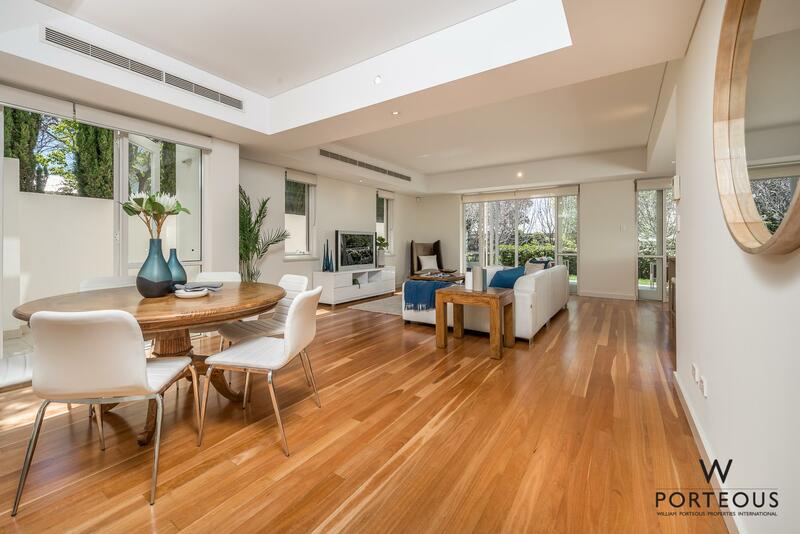 This extends seamlessly to a private east facing entertaining alfresco and landscaped gardens. 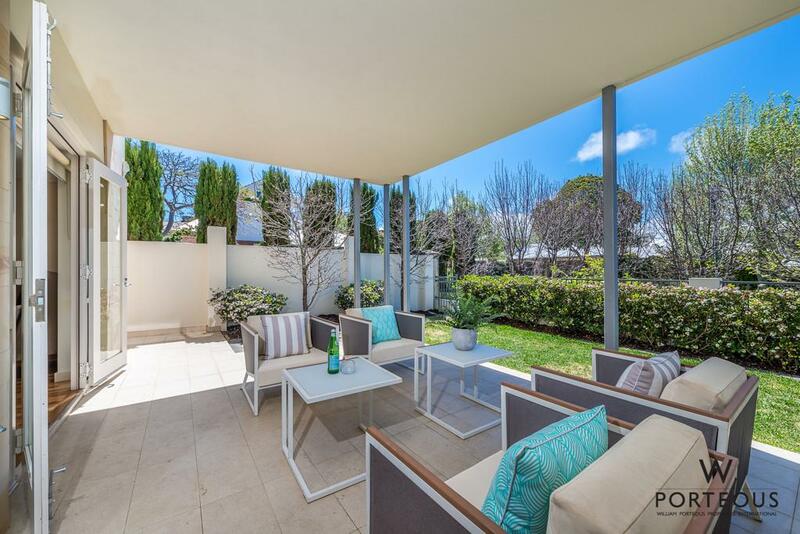 Brilliantly capturing the morning sun and offering complete protection from the prevailing afternoon breezes, it is a fabulous outdoor dining and entertaining area. 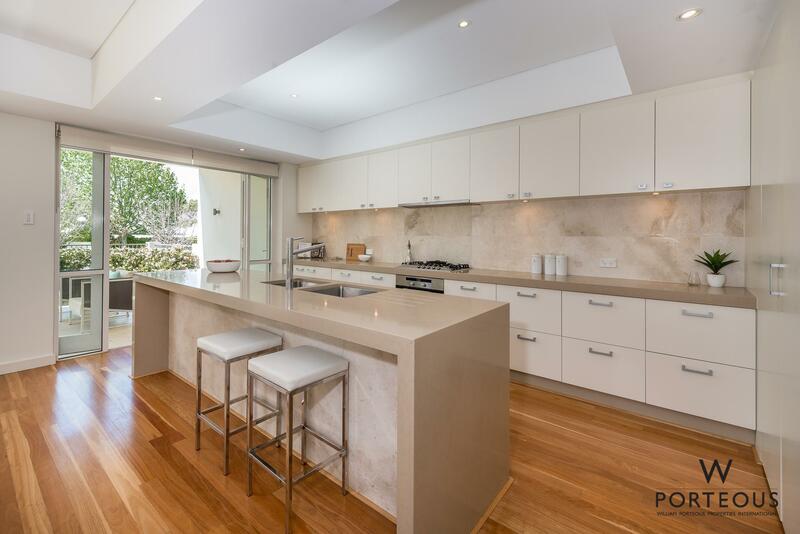 A stunning waterfall edge Caesarstone island inset with beautiful travertine takes centre stage in the sleek, streamlined kitchen alongside banks of ivory cabinetry, travertine splashbacks, a suite of Miele appliances and generous walk in pantry. 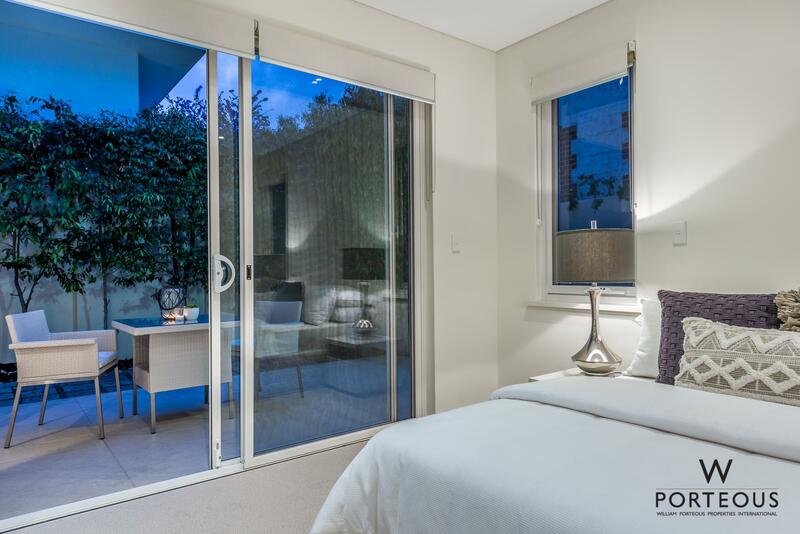 The large, gorgeously light and bright study/home office adjacent to living spaces can be closed for privacy via large bifold doors. 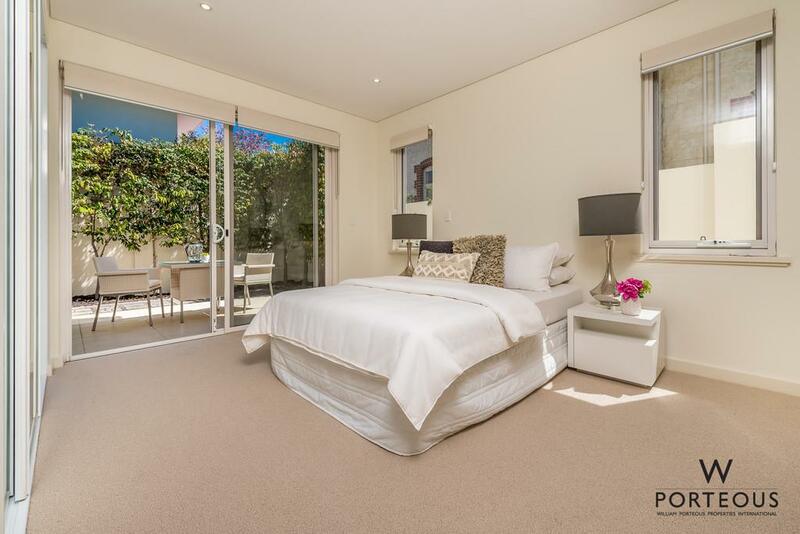 It could also just as easily be used a guest/4th bedroom. 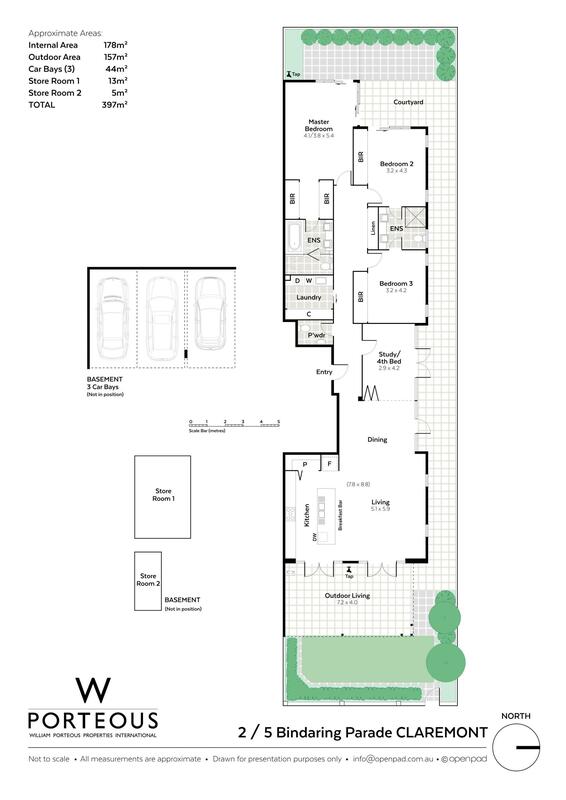 A long hallway leads to the gorgeously sunny master suite at the rear. 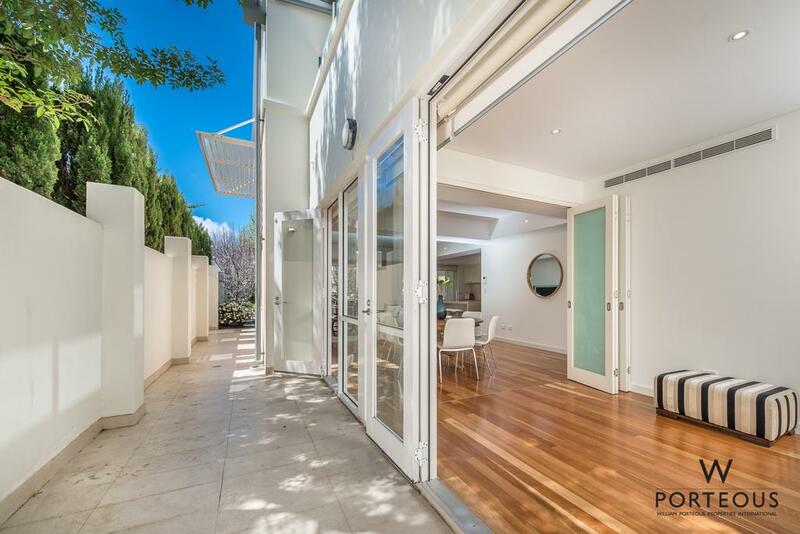 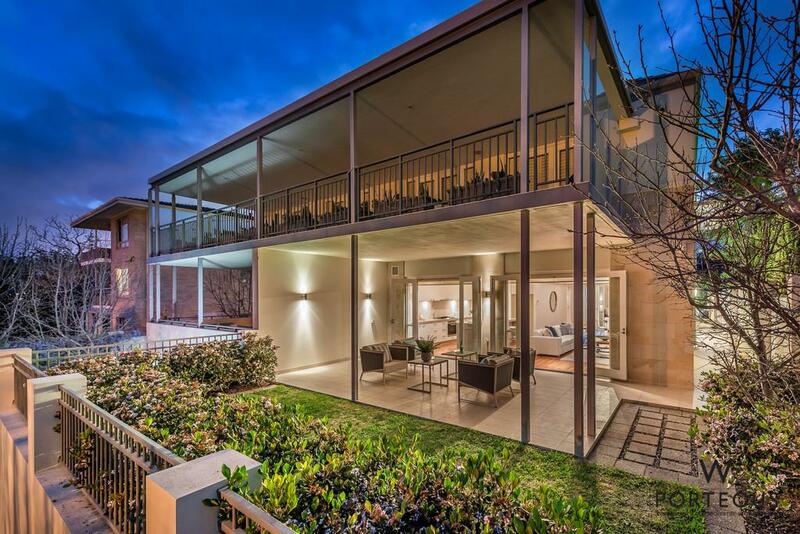 Two sets of sliding doors open to a spacious sheltered courtyard terrace and manicured gardens. 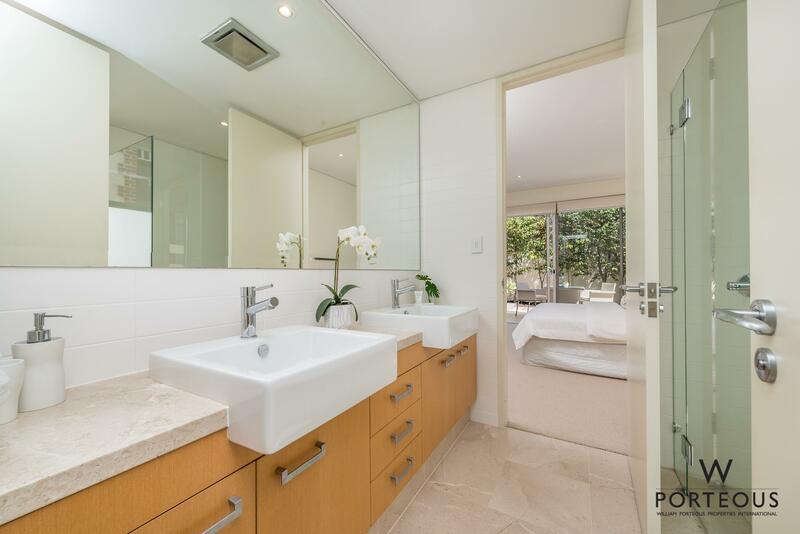 Walk-through his and hers robes lead into a sumptuous ensuite offering full height tiling in elegant neutrals, a deep bathtub, generous walk in shower, travertine counters with double basins atop timber cabinetry and WC. 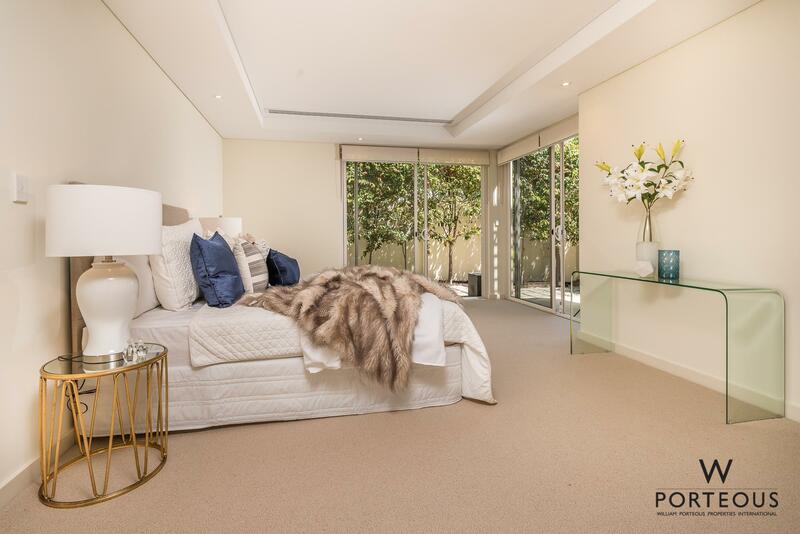 Two spacious bright and airy queen-sized bedrooms each have mirrored built in robes and tall windows and access a luxury ensuite finished to the same exquisite standard as the main ensuite. 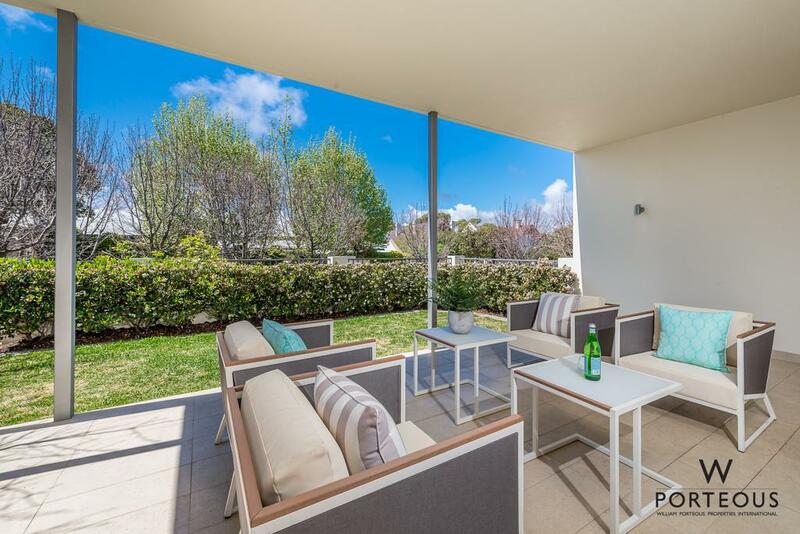 Set in a prestigious locale, just a moments’ stroll from the Freshwater Bay river foreshore, close to Napoleon St, Cottesloe Beach and the popular Claremont Quarter, 2/5 Bindaring Parade is the epitome of timeless style and elegance perfectly blended with a glorious sense of privacy and tranquillity, offering exceptional living with all the luxuries expected in an apartment of this calibre in the heart of the Western Suburbs.